Scientists have created bricks from simulated moon dust using the sun’s rays in a potential breakthrough for the development of future settlements on the moon – and beyond. Researchers at the DLR German Aerospace Center facility in Cologne baked the bricks in a solar furnace which harnesses sunlight and exposes them to a high-temperature beam, melting soil grains together. 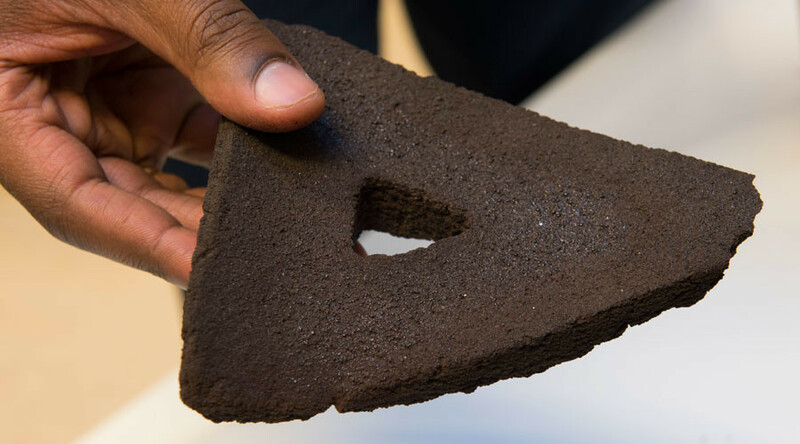 The material – volcanic minerals processed to mimic the look and feel of lunar rock – is then 3D-printed as bricks. "We took simulated lunar material and cooked it in a solar furnace," said Advenit Makaya, a materials engineer overseeing the project for the European Space Agency (ESA). The furnace focuses sunlight using 147 specially designed curved mirrors. Such was the lack of good weather in Northern Europe, however, an array of xenon lamps were used as solar stand-ins on overcast days. Experts have long speculated about the viability of a lunar station, with the expense of carrying building materials the long distance to the moon making it difficult to sustain large projects. Now, however, scientists believe it could one day be possible. The Cologne study represents another in a series of ESA projects exploring the development of lunar infrastructure. Last year, both the Chinese and European space agencies announced plans to construct a joint base on the moon. Groundwork for the supposed ‘Moon Village’ will begin in November when China aims to send a probe to the moon to retrieve rock and soil samples, according to its state media. Meanwhile, the forthcoming RegoLight project aims to further develop existing 3D technologies by testing printers in a vacuum and high-temperature environments – meaning the moon is perhaps not the only target for off-world habitation.